During the Alamo Bowl, Missouri vs. Northwestern (my alma mater), there was a commercial for the Pontiac Game Changing Performance of the Year. It is a contest in which participants vote for NCAA football plays that altered the course of a game. All the plays they showed were last-minute miracle touchdowns. The game-change concept implies that what was once inevitable – that one team would win – suddenly was not. When the score keeps going back and forth, the last one to score wins. The game changing performance happens when the odds are against the current underdog, but because something special happens, the odds are overcome. It’s the moment when those who still had hope rejoice and those who had turned off the television because of the expected outcome awake the next morning in dismay that they had missed the turn of events. 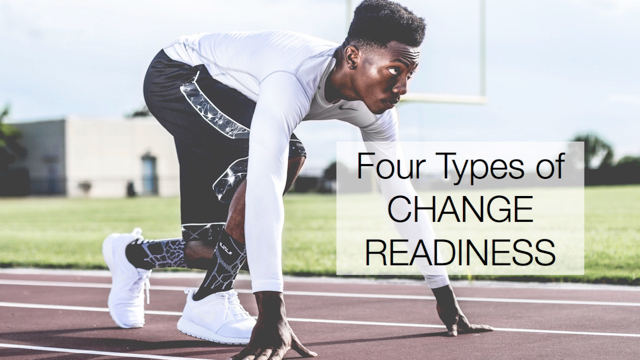 With organizational change, the game changing performance might be more subtle; however the concept is the same. While it seems that the status quo might be the inevitable outcome, suddenly one activity, initiative or event happens that tilts the scales toward the new direction. Perhaps that event is a meeting, or a conversation. Maybe a communication campaign hits the mark, or a key project is completed with expected results. It could be that an external event occurs that spikes the organization’s urgency level. Like in football, you can frequently name these events ahead of time. Sometimes you need a miracle touchdown, so you pull out a play from the playbook that might end with that outcome. Other times you can only hope for a chance interception returned for a goal. Inquiry: What might be your game changing performance? Northwestern lost in overtime, 30 to 23. That miracle pass was intercepted. Better luck next year!